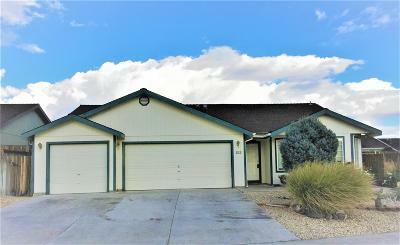 Gorgeous home located in the River Ranch subdivision with easy access to Hwy 50. Park located right next door to allow an open feeling. New sod, large concrete patio and luscious plants all welcome you from the sliding glass door to the backyard. Oversized Master Suite with 3 additional bedrooms allow for the much needed space. Front formal living and dining room has beautiful wood laminate flooring. Kitchen is open to family room for great entertaining.